Stefano is a Senior studying Physics with a Concentration in Computer Techniques. He plans to submatriculate into the Master’s in Physics Program from the University of Pennsylvania then possibly pursue a PhD. 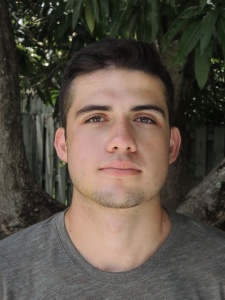 He is from Weston, Florida and spends most of his free time watching or playing soccer. His research interests include nanophotonic and optoelectronic device simulation. He is also interested in quantum information science and its commercialization. 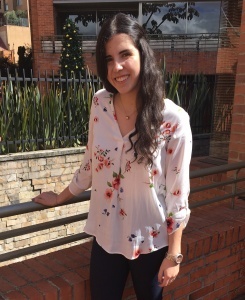 Natalia is a Freshman studying Chemical and Biomolecular Engineering and Physics. She is from Bogotá, Colombia and plans to go back to work on the development of solar energy in Latin America. In addition to academics, Natalia enjoys playing volleyball, swimming, and drawing. Her research interests are innovative ways to facilitate the use of renewable energy in nanotechnology, especially solar energy. More specifically, she explores the properties of Van der Waals heterostructures as a function of device performance. He is a visiting student in the group from India. 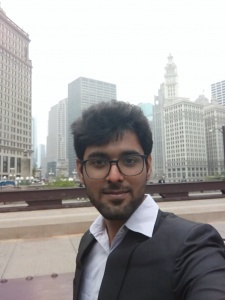 He is currently pursuing his undergraduate studies from the Indian Institute of Technology (Guwahati) in Electronics and Electrical Engineering. He plans to continue doing research after graduation and is planning to join a PhD program. Apart from academics, He is also interested in singing and badminton.